Bouncing across the waves at breakneck speed, I’m being sprayed with warm water at every turn. Powerboat-racing is sometimes described as like standing under a cold shower tearing up £50 notes, but this is more like an exotic spa treatment from a chorus of angels while riding a superbike across a skidpan. It’s my first outing on a jet ski and I’m already wondering why I left it so late in life. 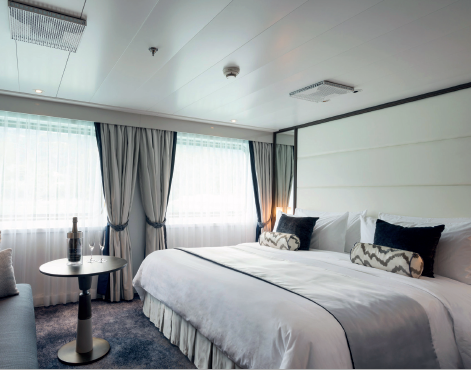 But the opportunity has never presented itself like it did on my week-long Adriatic cruise aboard Crystal Esprit, the newest – and smallest – addition to the six-star line’s fleet. The powerful jet skis – there are two on board – are just part of an array of extravagant toys. There are waterskis, a wake board, paddleboards, kayaks and snorkels, all available to guests free of charge. There’s even a three-man submarine, although that carries an extra cost – $599 per person for a 30-minute immersion – and is best enjoyed during Esprit’s winter season in the Seychelles. Not so much a cruise ship as a private yacht, Esprit holds just 62 passengers (attended by 91 crew) and is Crystal Cruises’ first venture away from the larger ships – Symphony and Serenity – on which it has built its reputation as the world’s most awarded luxury cruise line. Those plaudits have been earned not so much for the hardware, sumptuous as it is, but for the levels of comfort and service offered on board, and for the quality of the food. All of which attributes transfer effortlessly to the Crystal-in-miniature Esprit. 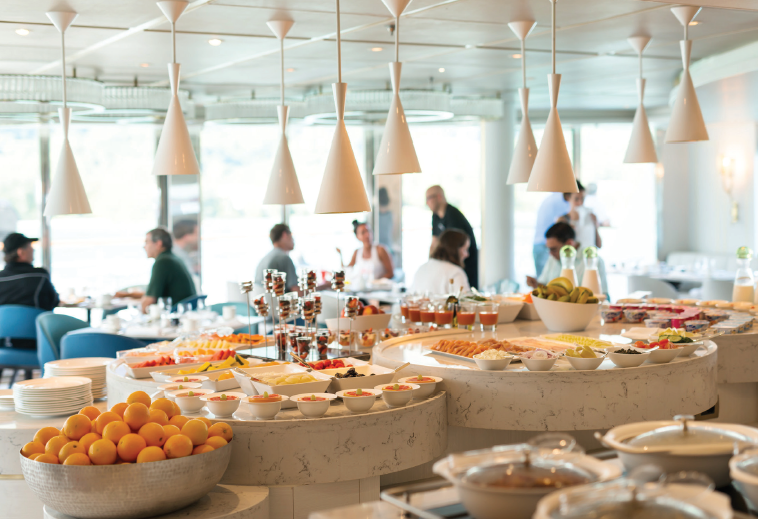 The food in the Yacht Club Restaurant, created by British-born executive chef Adam Jenkins, was simply sublime, even though it was created in a tiny galley, in full view of the restaurant. A mere list of dishes could never convey the excellence of what appeared on our plates, but whether it was poached lobster tail or pink-roasted lamb rack, forest mushroom tart or a pistachio and vanilla millefeuille, all of it was absolutely irresistible. Jenkins was senior sous chef on Crystal Symphony before transferring to Esprit. Before that he worked for DisneyCruise Line, having mastered his skills at The Ritz and The Sloane Club in London, and if he wasn’t cooking, he was usually to be found hunched over his laptop, working on menus for later in the week. In the restaurant, South African sommelier Sean was always able to select bottles from the complimentary wine list to suit the dishes of the day – and was on hand with a glass of port if I chose cheese instead of dessert. The selections in the Patio Café might have been plainer but they were no less excellent. A carvery roast joint, a pasta dish, sandwiches and salads were among the usual lunch dishes, and they tasted extra-special if I could grab one of the five outdoor tables. If all else failed (though it never did), there was always the option of a burger, a pizza or a Caesar salad from the Grill, one deck higher up, washed down with a cold beer or a glass of Californian sauvignon blanc. And for those in-between moments, tea, coffee, soft drinks and snacks were available round-the-clock at the self-service Pantry next to Reception. There’s also a small spa with a limited menu of treatments, though my wife was unable to get a manicure. Perhaps Crystal could look at expanding the spa into the space created for a casino, which remained empty because guests on our cruise simply didn’t use it. Dinners were usually preceded by a beer or a cocktail at the Sunset Bar, making new friends among the international passengers and being attended by friendly and intelligent waiters and waitresses who – like their colleagues on Crystal’s bigger ships – took no time at all to learn our preferences. After-dinner drinks were taken in the Cove Bar, usually accompanied by pianist Charlie James, and on one night by a traditional Croatian choir. When it all became too much, our suite was waiting for us. Esprit has 31 of these, all near-identical (except for one Owner’s Suite which is effectively two knocked into one), and ours was surprisingly large for such a modestly sized vessel, with two picture windows and a bathroom equipped with bath and separate shower, plus his-and-hers hand basins. Our butler and stewardess took good care of us, replenishing the mini bar whenever necessary, and bringing a daily supply of little treats, from shortbreads to chocolates. Nothing was too much trouble – while I usually had breakfast in the Patio Café, a phone call would summon green tea and a croissant for my wife. Life was so enjoyable lazing by the small pool (despite the ship’s size, there was never a problem getting a lounger) that it was sometimes tempting to remain on Esprit for the whole day. But we were cruising the Dalmatian coast, one of the most beautiful and unspoilt regions of the Adriatic, and there was so much to see. Esprit spent this summer shuttling back and forth between Venice and Dubrovnik, visiting a different set of ports each alternate week. And in an act of one-upmanship over her bigger Crystal sisters, she offered complimentary excursions at every stop, together with optional paid-for trips, and private cars and drivers for those who prefer limos to minibuses. After embarking in Dubrovnik, my first call was at Kotor, Montenegro. Tucked away at the head of a long, narrow valley, its medieval fortifications could easily have served as the location for Game of Thrones’ King’s Landing, if only the filmmakers had looked a little further south. Next stop was Split, famed for the palace of the Roman emperor Diocletian, which remains surprisingly intact after 1,600 years, the city having survived occupation by the Byzantine empire, the Venetians, Napoleon and the Austro-Hungarians, as well as the break-up of Yugoslavia. It’s even more surprising that the harbour – busy with ferries throughout the day and night – is rarely visited by larger cruise vessels (although there was a Thomson Cruises ship in dock during our stay). Zadar has Alfred Hitchcock to thank for his assertion that the town has the finest sunsets in the world, and local artist Nikola Bašić for the Sea Organ – a series of concrete pipes buried under the quay that produce hypnotically mellifluous tones. Bašić is also the man behind art installation Greeting to the Sun, a light show set into the concrete paving which was probably blindingly innovative when it was installed but now looks like a dated disco dancefloor. Opatija has a collection of grand hotels to rival Torquay or Eastbourne, but remains undiscovered by most cruise ships. For Esprit, however, this was the starting point for a complimentary all-day excursion to Zagreb, Croatia’s capital (though I must confess this was too much effort and I preferred a stroll ashore and a burger by the pool). 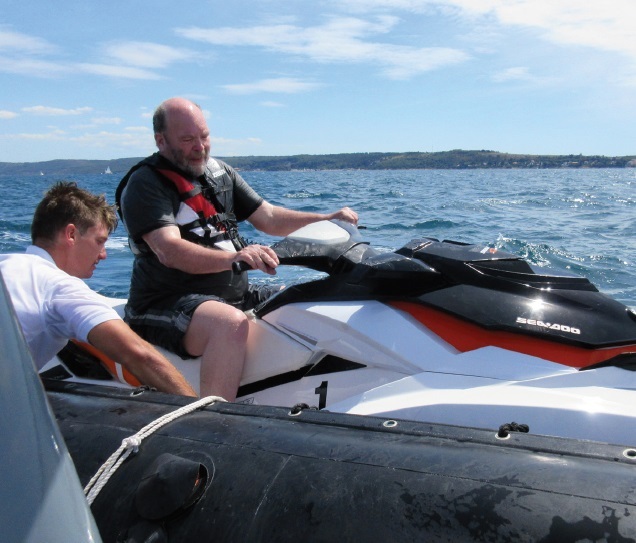 My jet ski adventure came the following afternoon, after a run ashore in the Slovenian town of Opatija. Then it was on to Venice for an overnight stay, during which the ship was berthed not among the giant cruise ships in the Stazione Maritime, but around the corner on the Guidecca Canal at San Basilio (further proof that small is beautiful). On the return trip to Dubrovnik, the itinerary remains resolutely Croatian, and takes in Rovinj, Sibenik, Trogir, Vis, Hvar, and Korcula – all of which are well worth venturing ashore to explore. 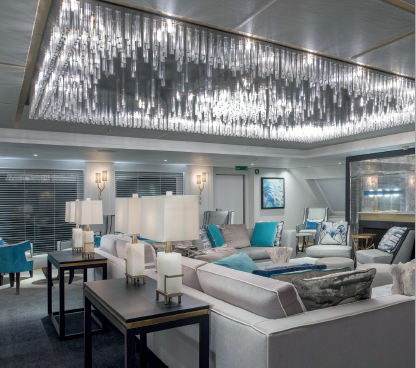 This kind of cruising doesn’t suit everyone, and with fares starting at more than £4,000 per person, a week on Crystal Esprit requires deep pockets (among my fellow cruisers was a Californian whose company is about to go public). But for those who appreciate the finer things and can’t quite stretch to a yacht of their own – though my Californian friend might manage it next year – Crystal’s new arrival must be worth her weight in gold.